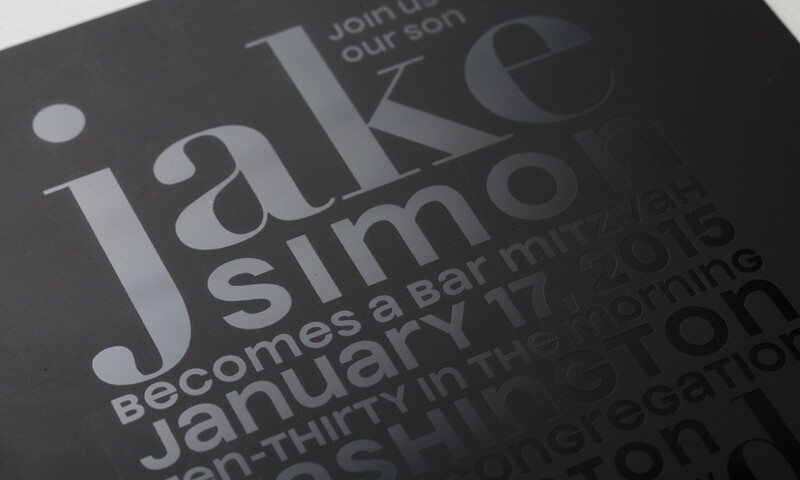 This Bar Mitzvah set combines a matte, black plastic invitation with a metal party card and a neon paper rsvp card. A fun pocket holds it all together with the party date stamped on top. great events start with a great invitation.